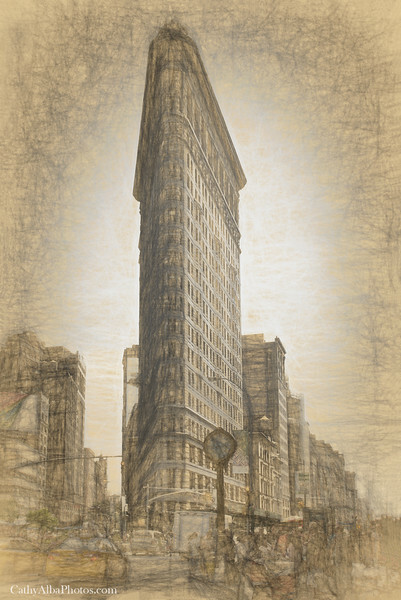 This is a shot of the Flatiron Building I took in 2014 and digitally painted to look like a sketch. The original photo just felt too hectic and busy with all the people in the streets and this brings my focus back to the beautiful architecture. This is one piece that I've printed for myself and it now sits in my home. I had this printed with a linen texture on a 3/4" standout with black edges and a lustre coating to protect it from dust. It sits on a wrought iron photo stand and is a beautiful piece of art.